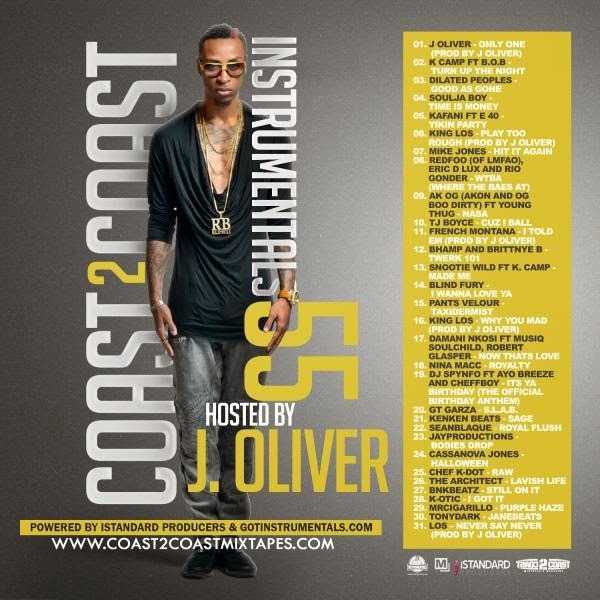 Earlier this month, @Coast2CoastMag dropped the 55th installment of their instrumental mixtape series. Coast 2 Coast Instrumentals vol. 55 features hit instrumentals from K Camp & B.O.B., Young Thug, French Montana, and more. The mixtape also features the instrumental to the @itsKOTIC produced I Got It on track 28. Download link located below the jump. Enjoy the beats. 20. GT GARZA - S.L.A.B.